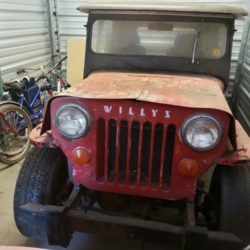 1961 Jeep Willys with all original parts and title. Great restore! Will need to be towed… needs a new battery to run.